Great looking work from the fans,cool. 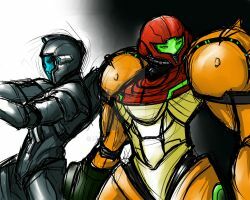 I freaking love Samus! <3 and nice pics! I love seeing fanart features on here! Thanks for doing this. deviantART Trending Searches: March 2014Here are 14 popular search terms that saw a significant increase in searches last month, ordered roughly by % of increase. Trending deviantART Search Terms: October 2013Here are 25 search terms that saw a significant increase in searches during the month of October. There may still be a few months to go before Game of Thrones returns. To help tide you over until the show returns, here's a collection featuring 40 of the best pieces of fan art, sorted by house! It's adumvgh, I've collected the top submissions from each Gallery. Here are the bests of June. Since 1996 the nevercrew duo has been channeling their ideas, styles, and creative energy into a new language that verbalizes itself in the streets, public spaces, and on the walls of private homes! What's the hardest part of being an artist or greatest challenge? Being able to concentrate on your path but at the same time finding time to do other things, without being curbed by your work and keeping your mind open to new ideas. There's not a unique recipe for everyone, and this is maybe a useful thing to think about. I fell in love with deviantART from the moment I was drawn to it. 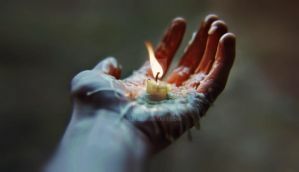 It's light, life, mystery and magic. I spent days, weeks, months, years wandering and being mystified, amazed and entirely in love with all that surrounded me. It was the community of people that kept me excited, kept me inspired, kept me aspiring to be someone better than I was. Even in the darkest times, the community has helped keep the lanterns lit. I've been taken to amazing places, worlds, lives because of the family I've grown with on deviantART and every thing that's been shared with me and everything I've been able to share with you. It's been a journey. And here, today, I'm still as captivated as I was when we first met. Monday Munchies Every Monday, I will be featuring a single deviant's artwork. The deviant may be known or unknown, and may have received accolades or joined deviantART last week. By featuring just a single deviant, I hope to give the deviant some exposure and bring a little beauty to your week. I also include a short description about the artist and/or what draws me to their work. In addition to the realistic pieces, there are some wonderful concept pieces such as this one. Again we see wonderful lighting, colors, and details in this piece. My deviantART StoryToday marks deviantART's 14th birthday! This is truly an exciting time in deviantART’s history, and I'm confident that the next few months will be some of our best ever. It might sound cliché or exaggerated, but we’re in a position to change the arts (and the world) through technology, empowering artists of all shapes and sizes to do truly amazing things. But before I get too far ahead of myself, I'd like to take a minute to participate in "My deviantART Story" to document a few of the ways that deviantART has helped me grow as a person.